If you don't plan your sparkles wisely your event can quickly turn from classy soiree to strippers dressing room. Choosing a few glittery elements to compliment your event design can make a huge impact without being overwhelming. 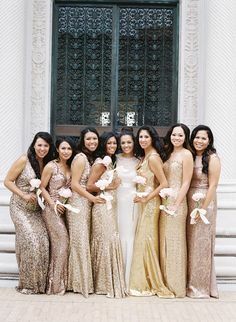 Let your bridal party shimmer and shine in glittery dresses. I love that these dresses are in different color shades but the sparkle pulls them all together to complete the look. 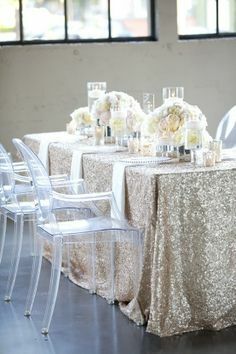 A sparkly table cloth can add glamor to your event. Keep the rest of the table scape simple to accentuate the glittery linens. 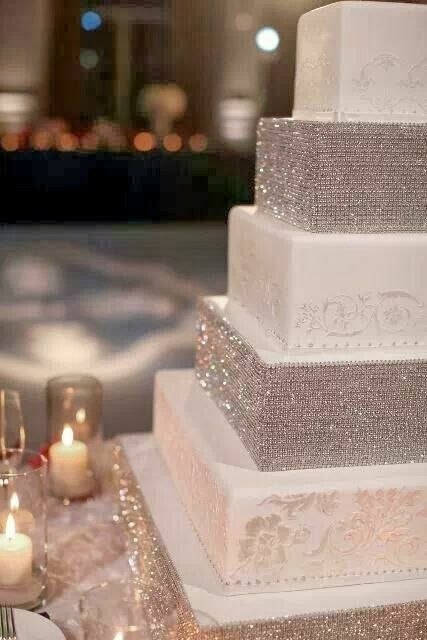 Adding edible sparkles to alternate layers of your wedding cake creates a bold and classy look. 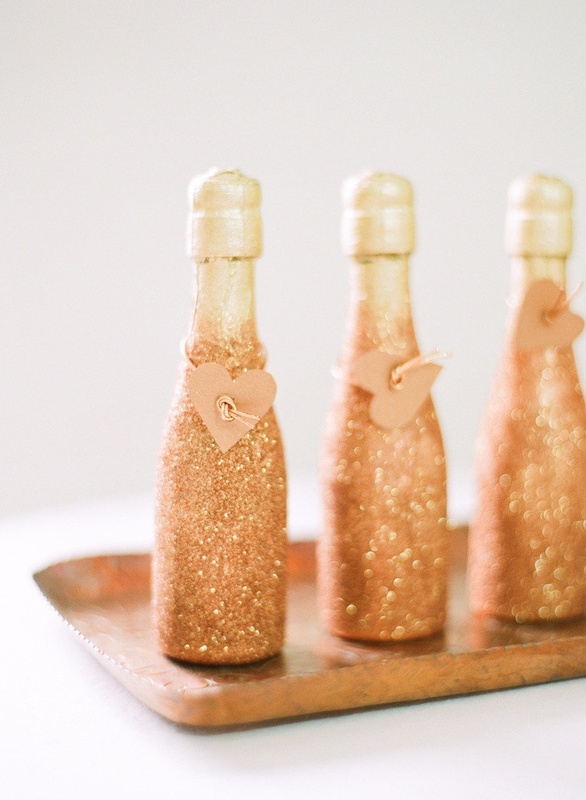 Create sparkly favors for your guests to take home with them. 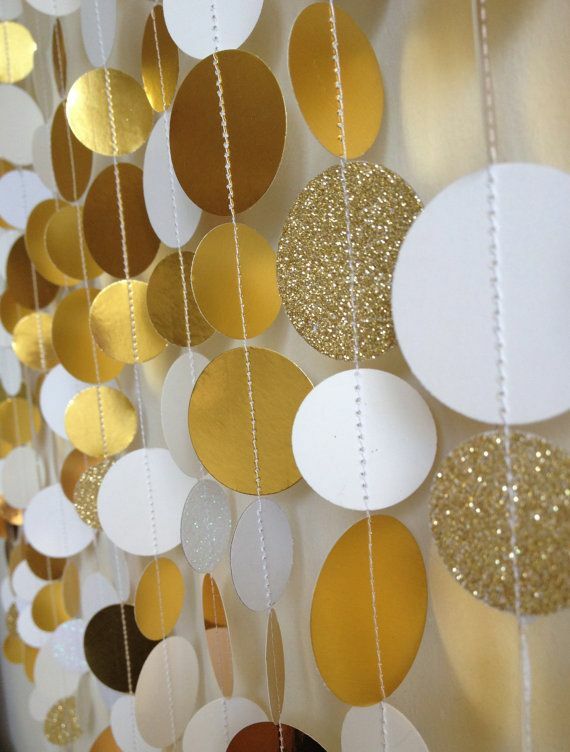 These circles of sparkle create a beautiful photography backdrop.